Annette is the Winner! Congrats!!! What did she win? A BIG THANK YOU TO EVERYONE ELSE WHO ENTERED AND LEFT YOUR SWEET COMMENTS!!! Leave me a comment here and you get an entry. 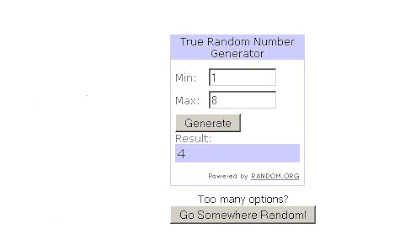 The winner will be chosen by his or her comment number using Random.org’s number generator. The contest will run until Sunday, Dec. 20, 2009 at 8 pm central time. The winner will be chosen and announced (on this post) right after that- so check back! If you’re the winner please email me with your mailing address. Great idea.....and I like those earrings. Can friends enter? I've been eyeing some of your necklaces, and hope to buy one soon... but free is so much more affordable! Oh! And I also linked your giveaway on Facebook. I emailed the link to your blog to family and friends. Of course I am a big follower of your blog and hope everyone else enjoys it too. Last week I told my hubby and my mom that for my birthday they could get me some of your jewelry...we'll see if they remember, lol. I emailed your blog to all my contacts! I hope you get some hits from that. Love you. Excited for you. I should have checke my email sooner. I will do what I can to increase your entries before tomorrow. I posted a message on my Facebook and will blog on both of my blogs today, good luck!! !